Over the past few years I’ve had the opportunity to evaluate and review multiple generations of photo processing apps and software from a company called ON1. Their team has worked to make an image editing platform that combines the best of top tier photo processing software and bundle everything together into an extremely dense standalone image editor. Let’s go ahead and acknowledge the extremely large elephant in the room: we’re talking about Adobe Lightroom and Adobe Photoshop. ON1 Photo RAW 2018.5 was released a few weeks ago and it is the latest ultra-powered offering from ON1 that strives to not so much dethrone Lightroom and Photoshop but rather provide a gentle reminder to the user that there are in fact other outstanding pieces of software available. In fact, ON1 designed Photo RAW 2018.5 to work right along side Photoshop and Lightroom as a plugin. Even though Photo RAW 2018.5 offers plenty of post processing punch (which we’re about to cover in a minute) it also targets, and could very well solve, what might be the biggest obstacle most of us must glide over when switching from a well known editing platform: the fear of the unknown. This review will walk you through some of the big features of ON1 Photo RAW 2018.5. We’ll look at the features you might like and the ones you might not. We’ll also shine some light on whether or not this newest offering from ON1 can play in the same league as the big boys from Adobe. ON1 Photo RAW 2018.5 is a monster. The software itself packs in so many options and possibilities that it could seem to be a bit overwhelming to from some users especially if you don’t have a background in using programs like Lightroom. Let’s take a quick walk around ON1 Photo RAW 2018.5. The aim of ON1 was to make browsing through your image files with blazing speed. I have to say that I was completely impressed with the quickness of the software in terms of moving from ‘Browse’ to the ‘Develop’ and other modules within the app. Let’s have a look how ON1 opens up your photos for editing. The orbit of any editing software revolves around being able to effectively control the luminance, contrast and color of a photograph. ON1 presents an excellent and familiar way to control the baseline edits of your images… but with a few caveats. When we talk about the ‘Effects’ module in the ON1 Photo RAW 2018.5 software what we are referring to is the addition of the ‘Filters’ library and a host of other incredibly versatile edits and what might be called special effects. Personally, I virtually never use any type of textures or after effects to my own photographs. That being said, I caught myself spend an enormous amount of time playing around with the seemingly endless treasure trove of effects available in ON1 Photo RAW 2018.5. And Shakespeare? Really? Yes. Shakespeare too. Let me show you. Alright, we’ve reached the portion of the review that I wanted to get to the most. Let’s talk about the ‘Layers’ module of Photo RAW 2018.5. As you can probably already tell, ON1 has worked to cobble together the best attributes of Lightroom (simplicity, usability) with the power of Photoshop (versatility, precision) and bring all of those together into one powerful program that essentially offers the cream of both worlds. In that spirit, think of the features of the Effects module as being a hybrid of Lightroom and Photoshop. I have to say, there is one aspect of Layers that absolutely blew me away. Something that I was so excited to see in this newest iteration ON1’s editing software is the inclusion of what is called color look-up tables or “LUT”. A LUT is a long beloved standby for video editing and the serve to color grade video files. The power of the LUT comes from the way it affects the videos, or in our case, images. ON1 now allows us to use LUT’s right alongside our editing workflow. This opens up a huge level of creative opportunities! Back in April of 2018 Adobe introduced creative profiles powered by LUT color grading and I’m so glad to know that ON1 has chosen to follow suit and introduce this new feature in ON1 Photo RAW 2018.5. Over the years I’ve had the somewhat unique opportunity to observe the evolution of a company as they have evolved within an admittedly competitive industry. The team at ON1 has consistently offered top tier customer support and technical innovation that is not commonly seen either in the photography world or anywhere else. What’s more, they have continually worked to improve their product with each successive generation. Is Photo RAW 2018 perfect? Of course not. Does it offer what, in my opinion, is one of the most comprehensive photo editing platforms available today? I believe so. What ON1 brings to the table with Photo RAW 2018.5 is a standalone program that embodies virtually everything that the current champion of processing software provides… *cough* … Adobe. 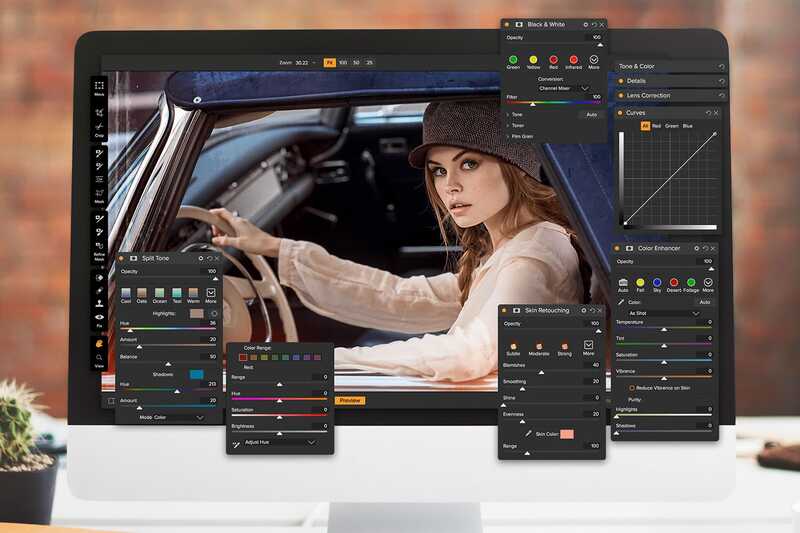 From the viewpoint of a battle tested Lightroom and Photoshop user, I have to say that this newest offering from ON1 is both ambitious and incredibly capable of filling the role of “the other guy” in terms of both quality and usability.